It seems the future of the Nissan Z may be stuck in limbo following the most recent round of updates for the 2018 model year, which also introduces a Heritage Edition. Speaking to AutoGuide at the 2017 New York auto show, Christian Meunier, senior vice president of Nissan Sales, Marketing, and Operations, painted a cloudy future for the brand’s most affordable sports car. Now, it’s unclear if Meunier’s hopes revolve around a re-imagined successor to the 370Z or if he hopes there will be another Z car at all. The comments also seem to represent an about-face from a previous report stating a new Z concept would be present at the 2017 Tokyo auto show. The Z line will mark its 50th anniversary in 2019, fueling speculation we’ll see a new iteration of the car soon. But, as it stands, the current 370Z is certainly getting long in the tooth—it debuted in the 2009 model year, after all. And for as long as it has been around, there have been multiple rumors swirling over the nameplate’s future. First, it was thought the next Z car would be lighter and leaner, possibly ditching the car’s iconic V-6 engine and instead offering a turbocharged 4-cylinder. 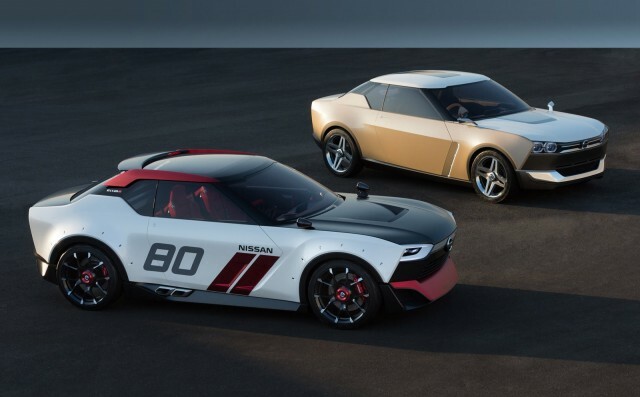 Then, following Nissan’s IDx concept, it was rumored the 370Z’s successor would merge with a production version of the show car. And in 2015, the Nissan Gripz concept appeared, seemingly hinting at the arrival of a performance crossover (shudder) to carry on the Z line. Honestly, we’re a tad shocked the 370Z has lasted this long to begin with. With a dwindling market for more entry-level sports cars and Nissan’s GT-R stealing most of the brand’s performance thunder, the 370Z doesn’t exactly “fit in.” Here’s hoping Nissan opts to fix the problem rather than just killing the long-lived Z.